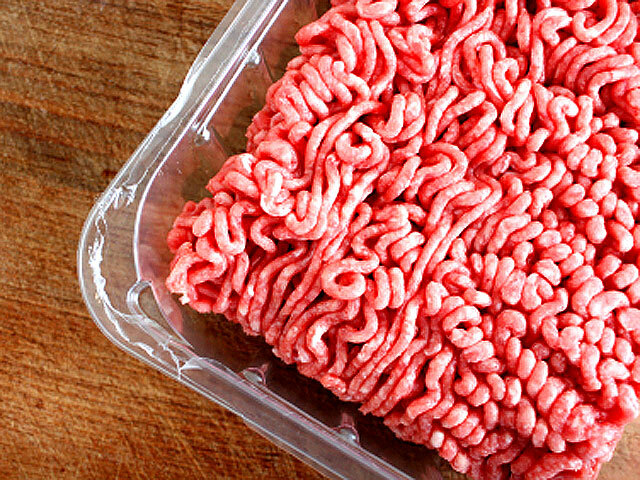 Wolverine Packing Company, a Detroit-based meat producer, is recalling at least 1.8 million pounds of ground beef after the U.S. Department of Agriculture's Food Safety and Inspection Services revealed the product may be contaminated with the E. coli bacteria. The beef in question was produced between March 31 and April 18 and shipped to distributors in Massachusetts, Michigan, Missouri, and Ohio for use in restaurants. The regulatory agency says so far 11 people have been sickened with the meat. The products bear the establishment number "EST. 2574B" and will have a production date code in the format "Packing Nos: MM DD 14" between "03 31 14" and "04 18 14." The USDA has a complete list of the recalled products on its website. E. coli can cause severe cramps, nausea and diarrhea, as well as other complications. The bacteria can also be spread from person to person. Currently, no treatment exists for people infected with E. coli. Physicians typically recommend bed rest and plenty of fluids to avoid dehydration until the infection has run its course. Most people recover within a week but serious complications can occur, including a type of kidney failure know as hemolytic uremic syndrome, which is most common among the elderly and in children under 5 years old. To minimize the chance of illness, the USDA's Food Safety and Inspection Service advises consumers only consume ground beef that has been cooked to an internal temperature of 160° F, checked on a food thermometer.